10.6%: that was February 2018’s unemployment rate for U.S. workers ages 18–24. Though that rate may seem high, if you were a 20-year-old living in Ghana, West Africa, you’d be thrilled with rates that low. 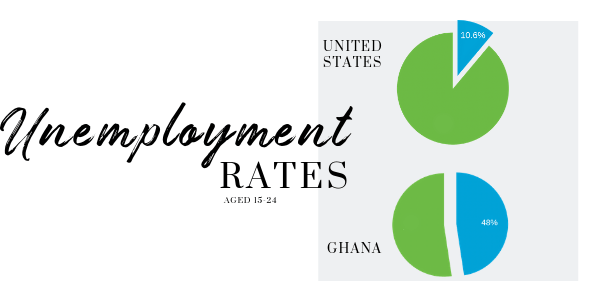 48% of Ghanaian youths aged 15-24 are unemployed. Those lucky enough to actually find a job tend to only find work inside the informal sector, working just a few hours, or helping on family farms and in family businesses. They scrape by as “necessitous” entrepreneurs doing what they can to survive, with most still unable to provide a steady stream of the basics like food and water for their families. Given that Africa has the world’s youngest population, the lack of steady, formal-sector jobs is an enormous political and economic risk factor. This economic vulnerability contributes in drastic ways to the overall social instability that handicaps Africa’s economic growth. This problem is not a new one. But it is one that has finally met its match. The Center for Entrepreneurship, Philanthropy, and Ethics (CEPE) is an on-site resource center at Heritage Christian College (HCC). It is here that HCC graduates will experience training and mentorship that will equip them with entrepreneurial skills while simultaneously encouraging them to practice and develop their own ideas. 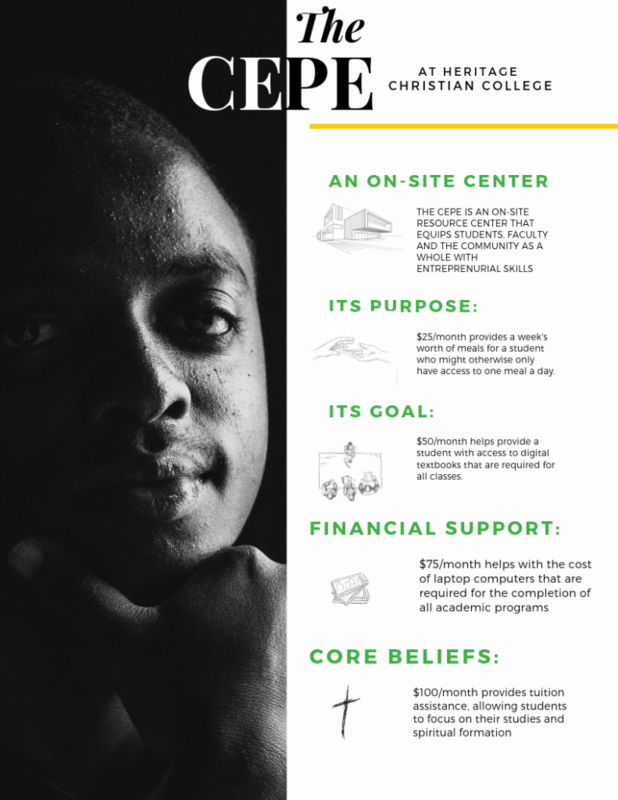 Through the CEPE, students work tirelessly to achieve their biggest goals by proposing business plans in hopes of receiving financial backing from HCC. Many of the student-imagined businesses use lean startup principles. Their businesses are “capital light,” so large investments are not needed to get these businesses off the ground. Rob Touchstone, director for the Center for Business as Mission at Lipscomb University in Nashville, Tennessee, notes that the CEPE emphasizes iteration when developing an idea. The iteration process aims at reaching a decision, or refining an approach, by means of a series of tests followed by analysis. The objective is to come closer to the objective with each repetition (iteration). 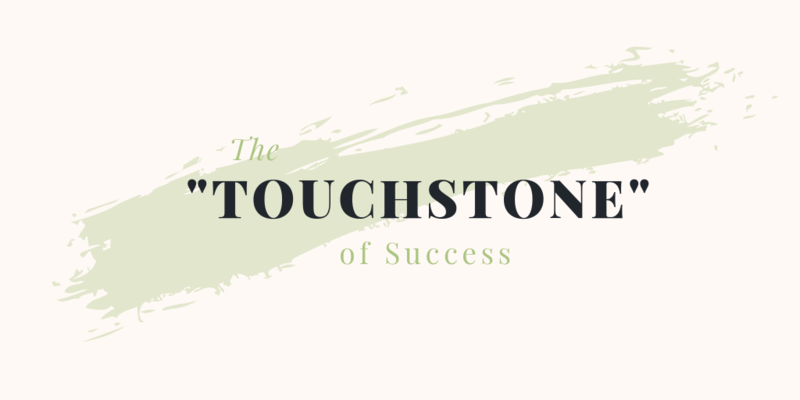 According to Touchstone, the iteration process starts with the step of identifying a problem, an issue, a need, or even a trend. (Called ‘PINT’ for short – Problem, Issue, Need, or Trend). These ideas are then developed through testing and analysis to arrive at a solution. 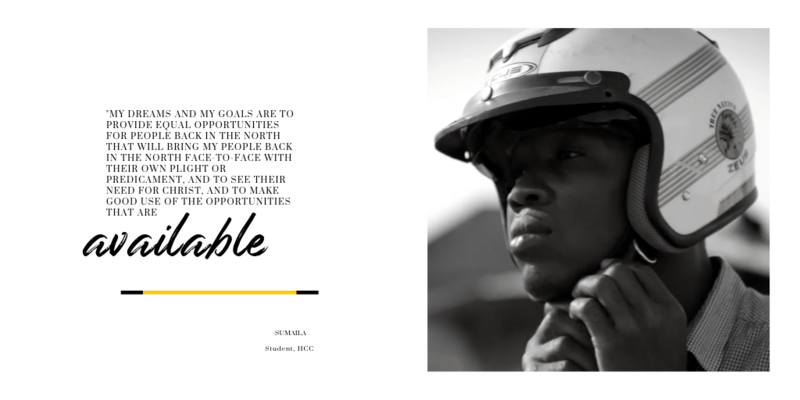 Solutions reached in this manner – driven by intention, not resorted to by dire necessity – provide the direct antithesis to the lack of jobs in Africa, and enable students to feed families, restore hope, and contribute to economic stability. The CEPE at HCC (click to enlarge). 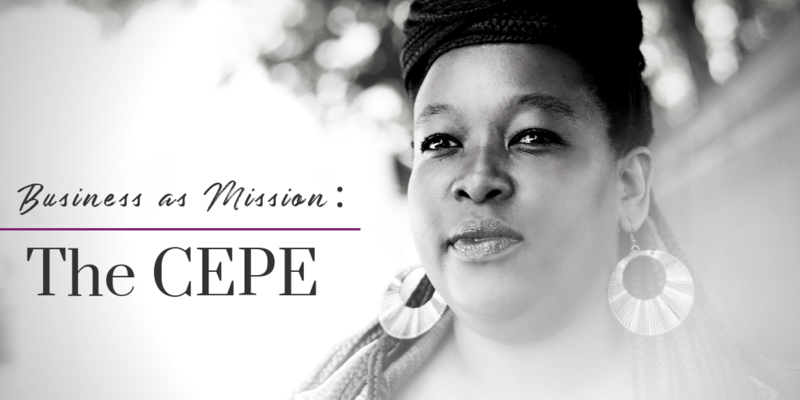 The CEPE has two key goals: First, to nurture all members to function in positions of creating sustainable employment in Ghana (and well beyond); and second, to imbue these entrepreneurs with the spirit of philanthropy and ethics. 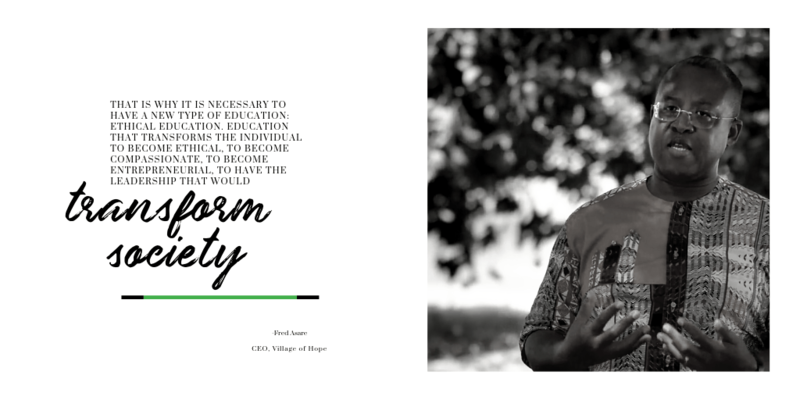 Building upon a core belief in Christ and in the value of philanthropy, the CEPE trains students not just to create jobs with the skills they master, but to contribute generously to the present and future wellbeing of those less privileged. Philanthropy and faith are bound together with Christ-centered ethics, which permeate the teachings of the CEPE. It is HCC’s belief that the values of Jesus should not only be present, but fully interwoven into all business pursuits. This is how Africa will truly rise. For Africa to advance and provide better opportunities, its economy must expand. Growth and expansion of the economy means more sustainable employment, creating not just more income but wider-spread income, thereby lifting populations out of the desperate depths of poverty. Education brings knowledge, but knowledge, on its own, produces no tangible value (not even to the possessor). Action backed by knowledge is what produces value. Members of the CEPE progress beyond classroom-acquired knowledge, proceeding all the way to real-world experience. Through the CEPE, they have the opportunity to practice and develop their own ideas, and to do so under the guidance of mentors. Moreover, through competitions, the CEPE encourages ideas that become new entrepreneurial ventures, advancing from prototype to startup. It is here where leadership is born, and where a new day of economic stability has begun to dawn. Being at HCC and being a part of the CEPE amounts to a tremendous blessing of opportunity that many will never have. To be endowed with knowledge and entrusted with the means to wield this knowledge into action – this is a true blessing, one that should leave students compelled to give back; not out of duty, but out of desire. It’s this level of discipleship, deeply rooted within the CEPE, that truly makes it distinct. Too often ethics is taught by fragmenting it into specialized areas: medical ethics, Christian ethics, business ethics, political ethics, etc. Although there are issues within the context of these areas, HCC and the CEPE teach one unified ethic across all modalities – the ethic of being a Christian, an individual governed by one set of principles, regardless of the role in which one finds oneself. It is in light of this ethic, then, that the CEPE strives to instill behaviors. Only when motivated by the highest aims and ideals can businesses truly reach their highest potentials. Only this way can people truly lead. This is the real crisis — the aspirations of the smartphone generation are rising exponentially while the means to meet them are growing arithmetically at best. Through the CEPE, Africa can turn its growing working-age population into a “demographic dividend” in which incomes rise and families thrive. To seize this moment of opportunity and combat mass unemployment requires concerted effort. 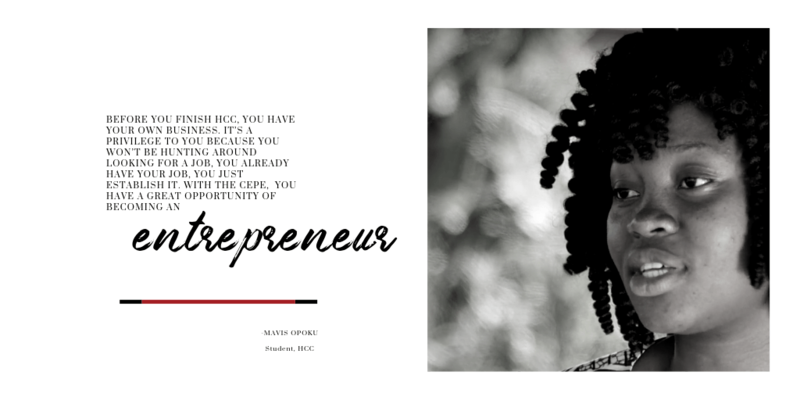 It is because of aware, motivated individuals such as yourself that HCC has come as far as it has, and it is because of individuals such as yourself that the CEPE can thrive, grow, and excel. The hopes of Ghanaians and West Africans rest on the generosity of people who see the critical role that HCC and the CEPE play. Your participation in this dream can lift not just a college but an entire nation. By giving to HCC and the CEPE, you become a multiplier – a multiplier of jobs, of faith, and of opportunities. There is no place you can put your money where it will do more to bring enlightenment and turn the tide against poverty that threatens not just Ghana but the entire continent of Africa. Your gift will lighten financial loads and empower a new wave of hope. With your gift, students will be able to turn away from worry and doubt and towards their futures. Your gift will start a chain reaction that will change thousands of lives. Only time will tell the great things your gift will help achieve, but like the butterfly effect, it will send ripples through time that will change the world. Dinah or Sumaila might change the world. Ernest might change the world. Mavis might change the world – and so many others, all because of you. 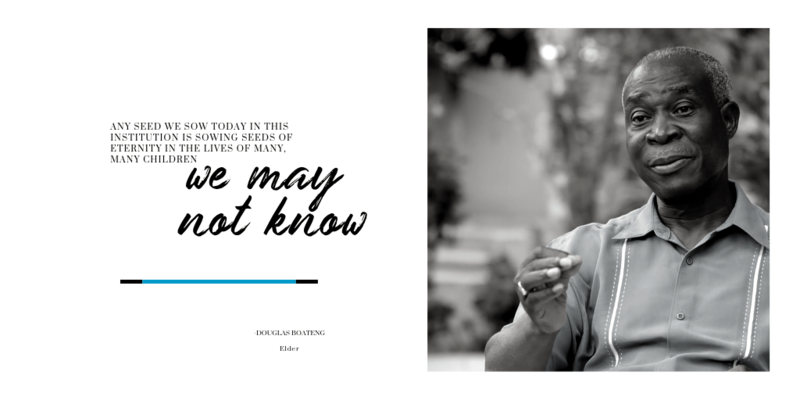 You may never get to travel to Ghana or witness the CEPE firsthand, but you can be certain of two things: you have changed lives and you have started a legacy. Stand with us. And be a multiplier.